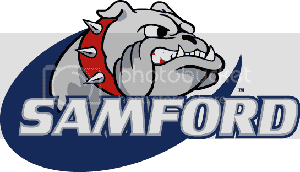 • View topic - Remember This ex Samford Football Player? Remember This ex Samford Football Player? Many of us certainly will remember him and that like 2 Rings, he married a Samford Cheerleader. Just announced today, CONGRATS to Chad! Re: Remember This ex Samford Football Player? I think this will be Chad's second year there. The article is dated 1/25/18. Thank You smurf. Second time in the last 2 months I've gotten dates confused on here. Don't know whether to chalk it up to carelessness, posting way too much, stupidity, or old age. I think maybe a combination of all three. I'll try to get a "proof reader" here at the Home to check me in the future. Yeah I think someone had posted this before. Good to see him moving along in his career. Super nice guy. Maybe he can give Terry Bowden a job. As a person and as a coach with his depth breadth of knowledge maybe he can breath some life back into that once proud program. Geez I hated playing them in high school. As an aside, speaking of Terry Bowden and needing a job, Todd Stroud landed on Manny Diaz staff at The U. The irony there having played for their biggest rival. Two Rings wrote: As a person and as a coach with his depth breadth of knowledge maybe he can breath some life back into that once proud program. Geez I hated playing them in high school. As an aside, speaking of Terry Bowden and needing a job, Todd Stroud landed on Manny Diaz staff at The U. The irony there having played for their biggest rival. Love hearing that about Todd. How's his health? I had read that he had a life threatening illness? He replaced one of my best friends. He’d built a solid program. Got hosed at Cullman.